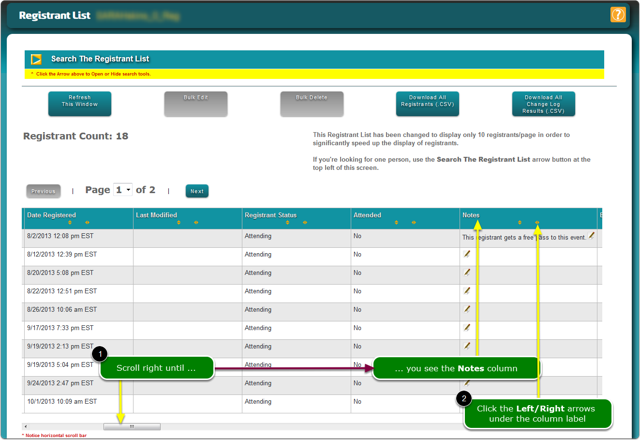 Help Documents - Version 5 Banquet Table WizardHow do I move a column in the Registrant List? 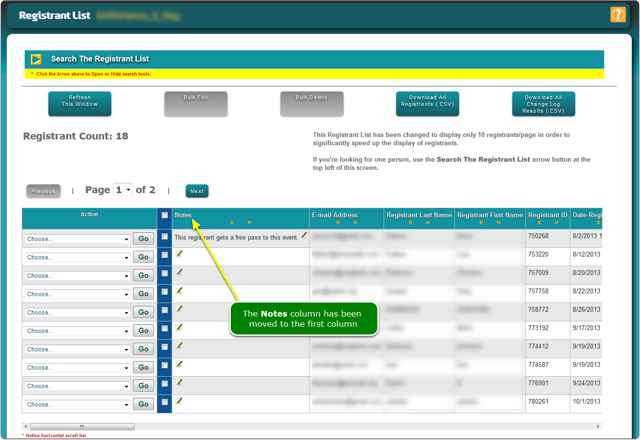 This article describes how to move a column in the Registrant List. Let's move the Notes column to the front of the list, next to the first and last name fields because we want to update the Notes field for a few registrants. The Move Column menu drops down and you can select the new location for this column. If it isn't, move it again. Prev: How do I create a question to hold my Table Numbers/Names? 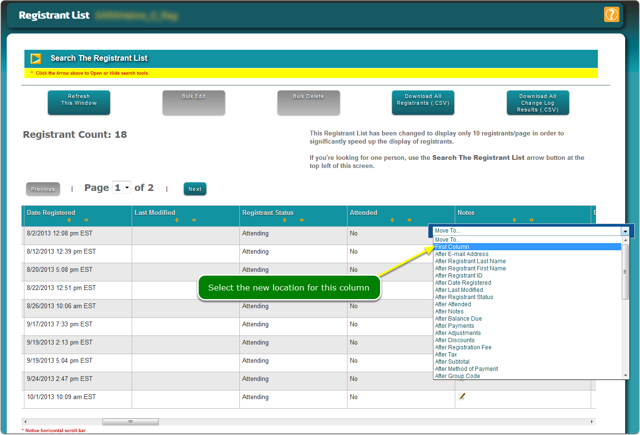 Next: How do I sort a column in the Registrant List?